Making an Entrance- Statement Floor Tiles: As you’re probably aware by now we’re busy working on home improvements this year. We purchased our home last year and have been dreaming and scheming, planning and discussing ideas on how to improve our home décor ever since. 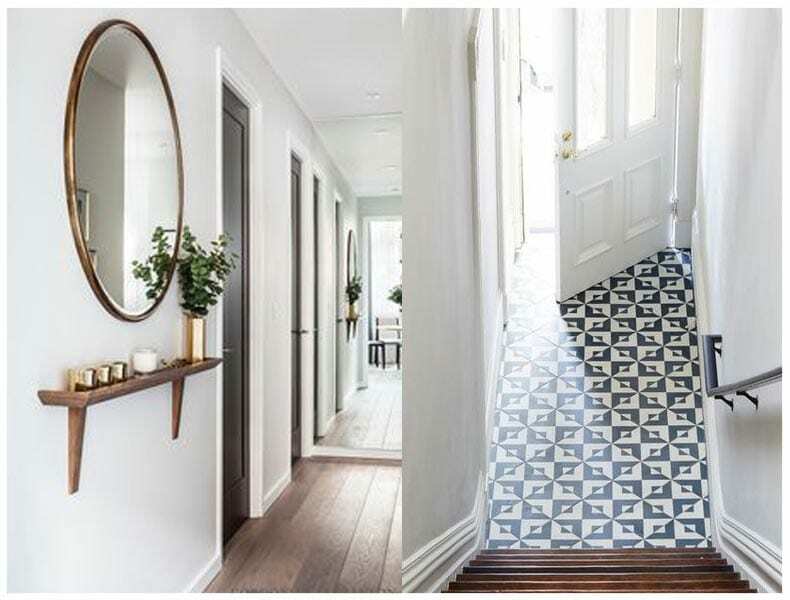 Statement Floor Tiles: Synonymous with the Victorian era, statement floor tiles have a rich design history, donning the entrance halls of homes for decades. Although our home is not a period property, in fact it only dates back as far as the 1970’s! we love the idea of introducing elements of the Victorian style. As with the bathroom renovation, we would like to combine traditional-style elements whilst still keeping the overall feel suitably contemporary. 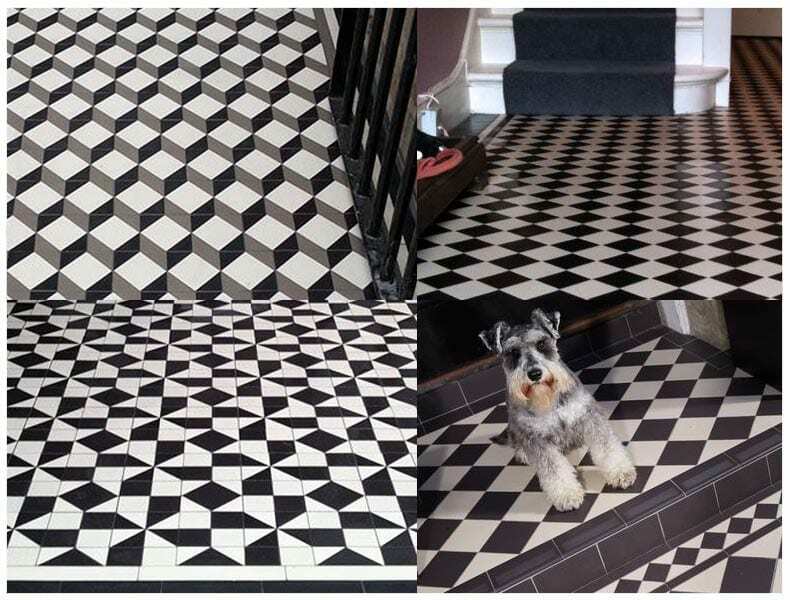 We love the idea of a statement tiled floor and have been looking at everything from checker board patterns, black floor tiles to the more modern geometric patterned tiles. The Benefits: The benefits of using tiles in the entrance are that they are much easier to keep clean (to mop after I invariably come in with muddy boots after a walk) they are hard wearing so can stand the test of time, oh and of course they add an element of interest to an otherwise lack-luster part of the house! The other great thing about opting for tiles is that they really can be an effective way of making a statement but not break the bank! Geometric: As I have mentioned in my previous posts, our space is pretty limited due to our city centre location- so we are going to have to be mindful of how we utilize the space we have. As the floor space available is so limited we could be quite bold with the tile design that we choose. The geometric tiles are great as they give a nod to the past but are clearly contemporary. Monochrome vs Colour: To keep things simple and not too overpowering I think we will opt for monochrome. Monochrome tiles in a simple black and white look great and create quite a graphic element to the space. The black and white tiles will also go well with the artwork we currently have on the walls. To work: Vintage style icon Katherine Hepburn was renowned for her ability to mix menswear elegantly into her daytime look. 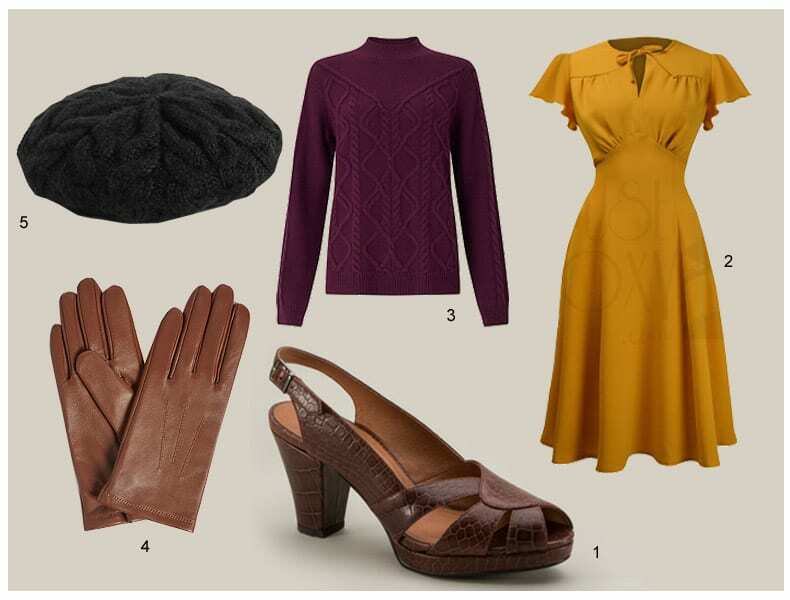 Katherine Hepburn’s look was practical, stylish and simple. 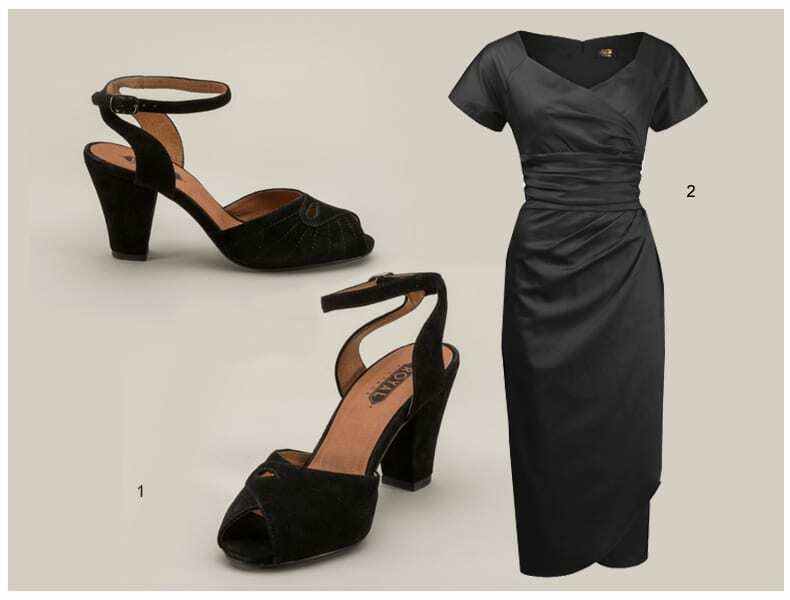 The Diana vintage style Oxfords from Royal Vintage Shoes are the ideal footwear choice for creating that classic Hepburn look. 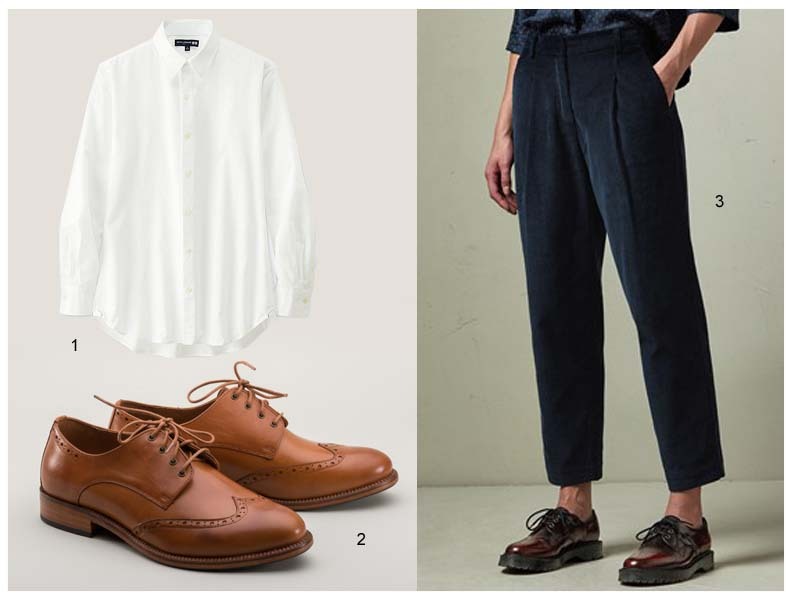 A white slim fitting mens shirt from (1) Uniqlo would be great paired with the (2) Royal Vintage Oxfords and pleat front corduroy trouser from (3) Toast.